An alarming number of Detroiters are at risk of losing their homes because of delinquent property taxes at a time when the city is desperately trying to stem the flood of departures. Property taxes are at least a year delinquent on a startling 37% of homes and businesses, and nearly 100,000 properties are facing foreclosure this year – a 23.7% increase over 2013, according to eye-opening tax data analyzed by Loveland Technologies and made available on their website, Why Don’t We Own This?. Alex Alsup, the chief product officer at Loveland Technologies, estimates that 145,000 people – or 21% of the city’s 688,000 residents – could lose their homes because of delinquent property taxes this year, further depleting the population. Detroit’s population has plummeted more than 25% since 2000, largely because of chronic job shortages, poor public services, a failing education system and imposing blight. In all, property owners are more than $700 million behind in taxes, Alsup said, and that’s a staggering problem for a bankrupt city with an unrelenting demand for social services, law enforcement, fire protection and infrastructure repairs. The foreclosed homes are sold for as low as $500 in an auction or end up in the hands of the city, which does not have the money to maintain most of the properties. Those city-owned houses and buildings are often gutted by scrappers or torched by arsonists, leading to further decay in neighborhood cores. Many of the properties in the Wayne County auction are purchased by speculators and slumlords who contribute to the neglect. Check out highlights of last year’s tax-foreclosure auction. Trying to combat the increase in foreclosures and blight, Loveland Technologies collects information on each parcel in the city and makes it available on an interactive, online map. It’s no simple task in a city that is geographically large enough to fit Boston, Manhattan and San Francisco. 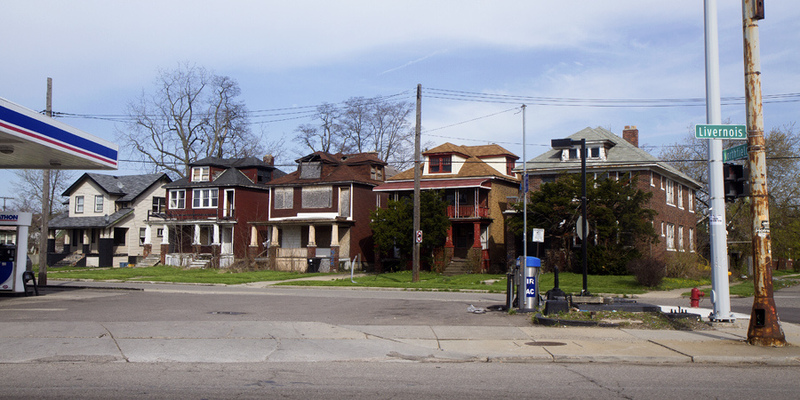 Loveland Technologies also played a vital role in an unprecedented parcel-by-parcel survey of blight in the 139-square-mile city. Great, now the word is out the plutocrazy’s will swoop in to profit of the misery. profit of the misery? how is the weather up there on pluto? 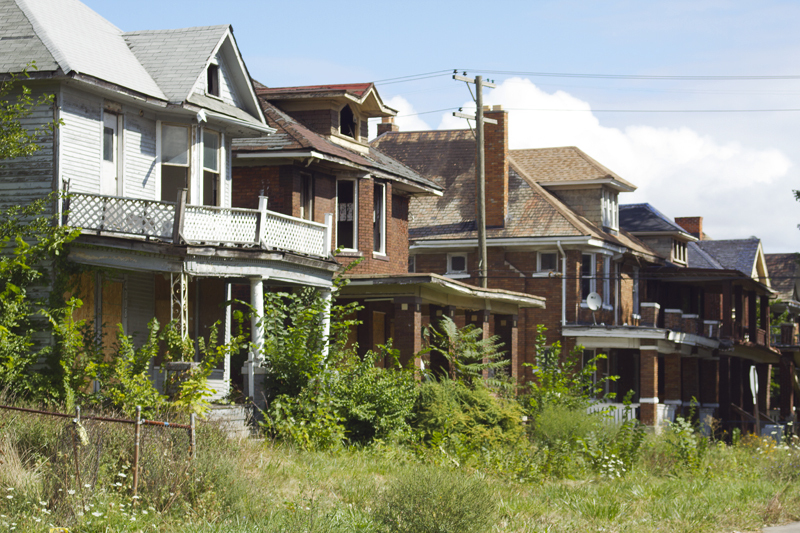 The City of Detroit is not helping people struggling to pay their property taxes. One of the first things the new mayor said is that he is going to lower property taxes. On my property I have not seen that . And the ridiculous interest and fees on back taxes. New property owners are not getting any help at all from the city. And then to top it all off we have a governor who cut back weeks of unemployment compensation which in my case could have been used to pay my property taxes. When did Mayor Duggan say he was going to lower property taxes? Do you have a link to that? Appeal your taxes, and take the matter through to the Michigan Tax Tribunal. It’s easy. No attorney required. Why would the unselected pay property taxes and DWSD bills on homes in areas unfit for human habitation? No one is fooled by the city’s efforts to shine the unselected along. Every neighborhood has a future, and it doesn’t include services. Update: Police conducted a social call on the slumlord’s tax delinquent drug and prostitution rental shack. Every criminal in the neighborhood network vanished from the streets. I’m sure the DPD saw nothing, as usual, but it was a bad day for the drug and prostitution hole.